I have just recently finished reading The Problem of Pain. This is probably CS Lewis’ least satisfying book for me. 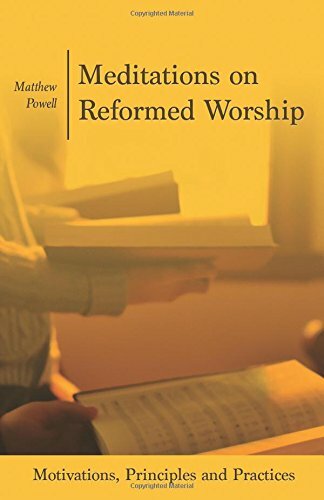 I have long heard, and believed, that Lewis wasn’t much of a theologian, and it is in this book where I see that most vividly on display. There’s a lot to be admired in this book, and I would probably speak more positively of the book if the writer were someone without Lewis’ impressive credentials. A lot of my difficulty with this book has to do with my own theological approach to the Problem of Evil, and the inadequacy I see in the traditional approach that many theologians take to that issue. In The Problem of Pain, CS Lewis suffers from the same deficiencies that the traditional arguments suffer from. 1. A good and loving God must wish to abolish evil. 2. An all-powerful God must be able to abolish evil. 4. Therefore, a good and all-powerful God must not exist. If God allows evil to exist, then He must be either not good, or not all-powerful. If He were good, surely He would desire to eliminate evil. If He were all-powerful, He would be able to do so. Since evil exists, a good and all-powerful God must not exist. I find the typical Christian response to this deeply unsatisfying, mostly because it is profoundly unscriptural but also because it is essentially a concession to the argument. This is the free will defense, and it states basically that God was unable to create a world that was good and that also lacked free will, and therefore free will had to be included. With this free will present, man chose to exercise that free will and chose evil instead of good. Therefore it is man’s fault that evil exists, not God’s. I say this is unscriptural because in at least two of the main places where the question is actually discussed in the Bible, the free will defense is not invoked. These two places are the book of Job and in Romans 9. In Job, God’s defense is essentially, “Where were you when I laid the foundations of the earth?” This is God’s answer to Job’s question to why these evils have been allowed to come upon him. God never ducks responsibility, invokes the free will of Satan, or uses any such weasel words as “allowed”. God accepts full responsibility and claims full right. We know from the story that God decreed these occurrences in Job’s life in order to vindicate His glory to Satan and the angelic hosts. He never apologizes for doing so. What if God, willing to show His wrath, and to make His power known, suffered with much longsuffering the vessels of wrath fitted for destruction; and that he might make known the riches of His glory on the vessels of mercy… even us, whom he has called…? That is to say, the destruction of God’s enemies and the merciful salvation of God’s chosen reveals and glorifies God, and is therefore good. Once we understand this, the problem of evil essentially goes away. All is for God’s glory ultimately, therefore nothing resists His will. The term “evil” simply speaks of our own subjective rebellion against God’s will for our lives, not any actual violation of His eternal will, since that is impossible. The free will defense, on the other hand, weakens God by saying that evil exists ultimately because God was powerless to prevent it. God somehow was ‘required’ to create a world that had free will. He was unable to create a world where men would freely choose to worship Him, without them falling into sin, but was still compelled to create such a world, again presumably to fill some need. But if a good world cannot exist without free will, then what of heaven? Christian theism posits the existence of heaven, where we will serve God forever. Will we be free there? If not, by this argument heaven must not be good. If so, by this argument it must be possible for us to fall from perfection all over again, even in heaven. Because we are subordinate to God in the very deepest, most metaphysical respect, I am comfortable saying we can freely choose to serve God or to rebel against Him, and yet never depart from His sovereign plan for all things. This also solves the problem of evil. The only problem it creates, I believe, is that it forever denies any hope man could ever have of being truly independent and self-ruling. But this is not a Biblical problem; only the problem of the man who rebels against God his Creator.